Founded in 2000, Nortinteriores produces and trades furniture for all over the world. To ensure high quality standards, we have an experienced team of employees with extensive experience in the furniture field. 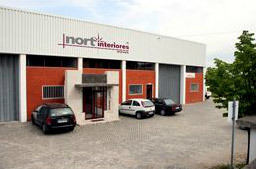 Located in the heart of the industrial area of ​​Rebordosa, Portugal, Nortinteriores has a manufacturing facility with approximately 2000m2, equipped with the latest manufacturing technology and sophisticated finishing lines. We put particular care in environmental conditions, free of dust and other impurities, and adequately treat all the products we manufacture, through the use of effective packaging processes, which provides an additional guarantee of quality in the handling and transportation of furniture we produce, since manufacturing to delivery to your home.